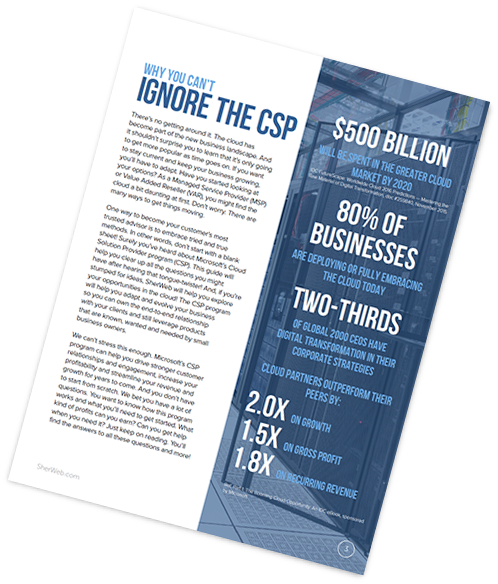 What is the CSP Program? It’s an easy way for Managed Service Providers like you to resell Microsoft cloud solutions such as Office 365, Azure and Dynamics 365. You set your own prices and bill your customers directly. Create the ultimate bundles for your clients by combining value-added services with those offered by SherWeb and Microsoft. Make it easy for your clients to decide which services they want. 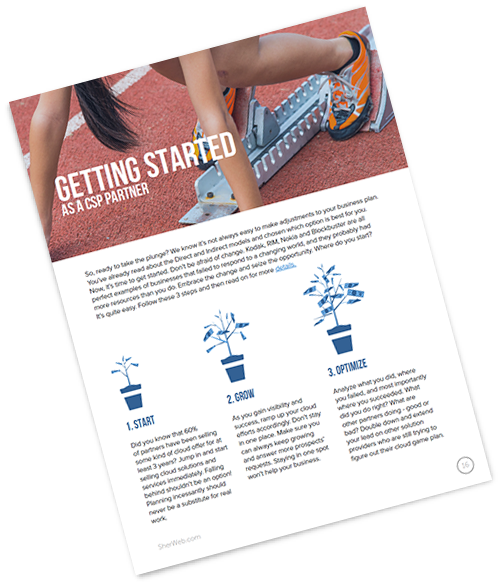 In the end, you’ll increase your monthly revenue. When you sell cloud solutions through the CSP program, you can support your customers directly or take advantage of SherWeb’s 24/7 technical support. You set your own prices and margins. You bill your customers directly and own the customer relationship. Microsoft won’t be the middleman. 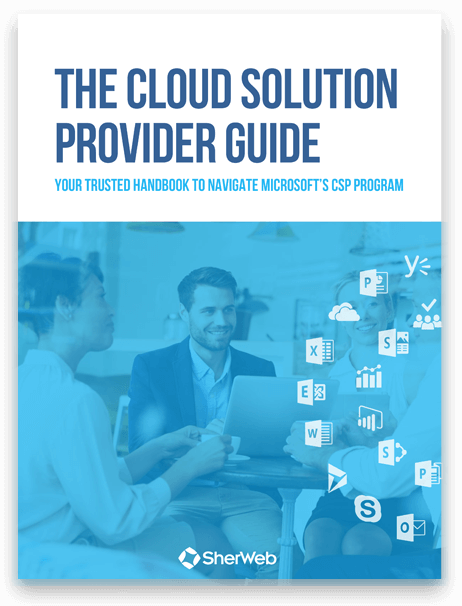 New tool helps Microsoft Advisors transfer their clients to CSP.